Dropped your old LG G2 into a cup of water and you find the device is running not normal. Luckily, the device still can be detected by computer so you quickly bought a new Samsung Galaxy S7 and want to copy all the important data, especially contacts from the old LG G2 to the new Galaxy S7. You can not do the staff manually because it takes too much time. 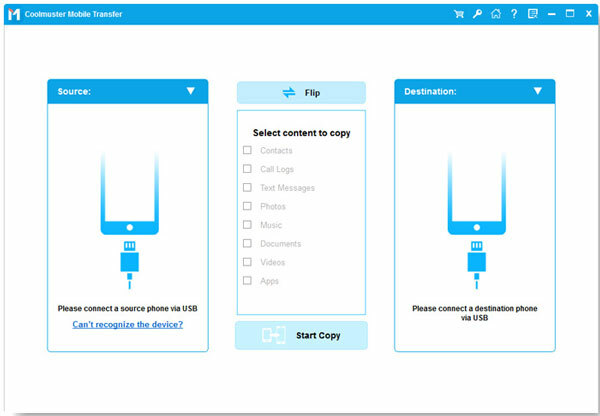 Here comes the good news that there is a nice phone to phone transfer tool can help you out in your case. 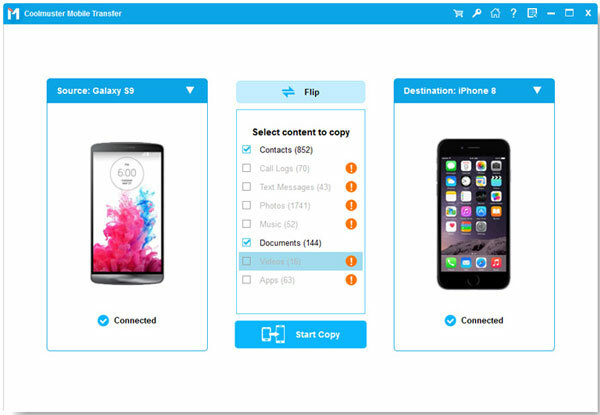 Mobile Transfer is an easy-to-use yet almighty phone to phone data transfer program which designed for portable device users to move content, such as contacts, text messages, photos, videos, music, apps and many more from one phone to another without much effort. The whole process only takes you a few minutes to complete. It works with Samsung S7/S6/S6 edge/Note 7, Galaxy A9/A7/A5 and LG G4/G3/G2/Optimus, as well as HTC, Sony, Motorola, iPhone, etc.. And all contact information, like phone numbers, contact names, email address and company names can be preserved. The following tutorial will tell you how to transfer contacts between Samsung Galaxy and LG phones. Step 1. Download and install the Mobile Transfer by following the built-in setup wizard. Launch it and you will see the following program interface. Choose the Phone to Phone Transfer mode and hit the Start option to continue the process. Step 2. Connect your Samsung and LG phones to the computer via USB cables and the program analyzes the two devices. You can see different file folders in your LG and iPhone are arranged on the top panel. Step 3. Click the tab labeled "Contacts" and preview all contained phone numbers in the source LG phones. Tick out the contacts you want to transfer to Samsung and hit the right or left arrow direction to start the transfer.